Nursing home care now runs around $8,500 monthly. Basically, there are three ways to pay for it: Private, insurance (which often covers just a portion), or Medicaid. Privately paying isn’t often an option because most folks can’t fork out $100,000 annually for a nursing home. The long term care insurance (LTCi) industry is a mess. In early marketing frenzies insurers kept premiums low based on assumptions that many folks would eventually drop their policies or not live long enough to make significant claims on their policies. Surprise! They kept them, they lived, they collected. The result? Those companies that committed to level premiums, took a huge hit. Those that made no such commitment have skyrocketed their premiums. The good companies hung in there and took HUGE hits. The weaker players bailed or went belly-up. Twenty years ago, over a hundred insurers sold LTCi policies. Today, perhaps a dozen. Recently (January 18, 2018) the Wall Street Journal ran an excellent piece by Leslie Scism on this problem. Around 70% of nursing home costs in the US are covered by Medicaid. Like it or not, Medicaid is a popular financing mechanism (and NOT a ‘type’ of nursing home). Initially, it may have been meant to be a program for the poor (and still is in the eyes of budget hawks), but it has evolved to meet a need. The debate regarding health benefits had been going on since the 1930s. One school favored a public entitlement, the other favored an insurance-based approach. In the 1960s the Johnson administration and Congressional leaders hashed out a compromise. Medicare would be an insurance-like product: Pay-in through employment taxes and premiums at retirement. Upon retirement, file claims as with any insurance. Medicaid would be a welfare-type benefit: Medical coverage would be made available to the poor. As the programs were being finalized, nursing home benefits weren’t a real priority. Cancer, strokes, heart attacks, and such carried folks away much more quickly then, than now. Medicine has vastly improved. Folks are sticking around longer to develop chronic acute conditions that send them to the nursing home. In any event, Congress tacked nursing home coverage onto Medicaid (with only minor benefits allowed under Medicare). 50 years later, things are strange. First, there is what I call the “disease lottery.” If one of my clients develops brain cancer, goes through surgery, radiation, chemo, and perhaps rehab, she will rack up hundreds of thousands in medical expenses. If she has Medicare and a decent supplemental policy, or perhaps Medicare Advantage, she will have no worries (well . . . financially). On the other hand, if she develops Parkinson’s or Alzheimer’s and goes to a nursing home she is going to be out of luck (unless, perhaps, I can help her). Second, the person who lived hand-to-mouth has nothing to worry about. Simply go down to DSS and apply for Medicaid. The person who managed to lock-down and keep an LTCi policy, or who is very wealthy and can afford $8,500 a month, will be fine. On the other hand, the person who lived frugally, worked hard, skipped vacations and expensive cars, paid the bills and amassed a ‘fortune’ of a few hundred thou and a paid-off ranch in the ‘burbs – the person who ‘did everything right’ – will be plain out of luck (unless, perhaps, I can help her). I tend to be a fiscal conservative. I believe something must be done with entitlements – intelligently, however (gasp). The way to fix a social problem is not by slashing the budget because that will only exacerbate the problem. Why not add a long term care component (say, standardized X, Y, and Z LTC plans) to Medicare? When one first signs up for Medicare and has the option to purchase a supplemental policy, add the option to purchase an LTC plan. Retain Medicaid as a draconian safety net for those who were irresponsible enough not to enroll during the open enrollment period. What’s not to like? Takes care of a pressing problem and gets private enterprise involved. Only one problem: Trump, Ryan and McConnell don’t know me and probably aren’t interested in hearing from me. In the meantime, I’ll take care of my clients. Great article & very informative that rings true for my personal situation. I am POA for an elderly brother on Medicare w/UHC supplement (Plan C), Part D Rx coverage by SilverScript & Medicaid w/Extra Help & residing in a LTC facility. It was a nightmare trying to navigate the bureaucratic system. Really enjoy your elder care “tips”. Thanks! Thanks for the education. I’m working to help my father in law who is currently in a nursing home and under Medicaid after using up most of his life savings. I like your thoughts and my real concern comes when individuals have no family to act in their best interests. They do not know enough to have someone like yourself help early enough to make a difference or advise them of the right options. Attorneys can sometimes get a bad rap but my experience with elder care attorneys is almost ministerial. Best wishes. I see the gap all the time as my husband has been treated for Multiple Myeloma for the last 12 years. We are the rule follower type and always responsible, even before cancer, saving, purchasing insurance, staying in the same job to keep on-going insurance, living small. And good thing because MM is very expensive and without ongoing chemo, life ends. So I have seen the gap, I see the difference. I’ve seen Medicaid folks get a social worker to handle all the billing issues and help in finding money from organizations to subsidize their care. Non-Mediciad folks, well I am the advocate and social worker for my husband because he is not eligible for those types of services because we pay for insurance and all the copays. And as I watch, I am thankful for who I am as well as thankful my taxes are helping those suffering from cancer who are unable to pay for insurance, whatever the reason, so they too can continue to live. 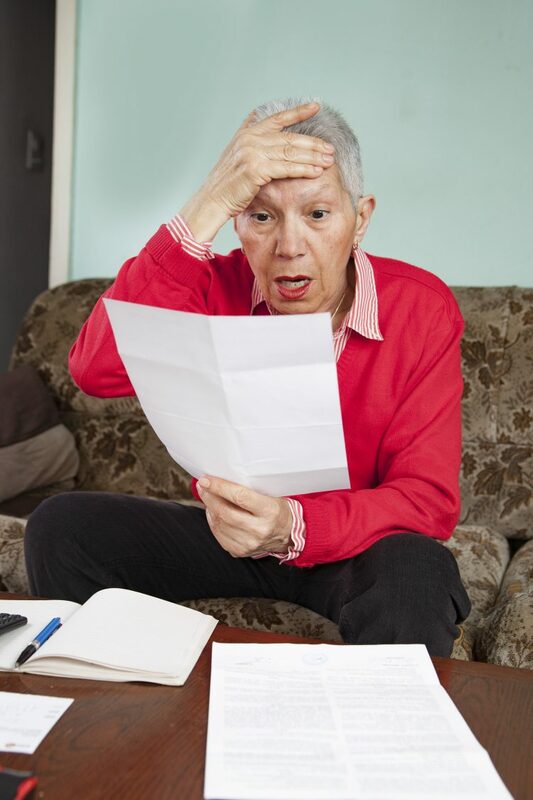 What angers me is when I have paid every bill on time and am proactive of accounts that don’t match up, I get a letter from the medial billing office telling me they are going to send me to collection if I don’t pay the $16.23 balance from three months ago which just appeared on my bill. Or they tell me I owe, even though they really can’t explain why, perhaps they made an error and they point to their thick Medicare notebooks and explain its all very confusing. So I pay. I’ve paid for bills almost a year old because someone made a billing error and they just discovered it. I pay and I have no recourse. They want their money in 30 days of the billing even though the bill is over 8 months old and they just found it. But they can threaten me with collection…because I pay. Thanks for your column. I enjoy reading your words of common sense. It helped me convince my sisters to get my 91 year old mother to an elder attorney. I couldnt agree more….and bless you and your husband! Tell the Medical provider they need to file ALL charges with your insurance and that you pay bills based on the “Explanation of Benefits” you receive from your insurance company. And don’t let them (Provider or Collections) intimidate you. If they do turn it over to collections, when they call you, document their name and number, give them the same Explanation, and tell them if you hear from them again, you are sharing their contact information with the Attorney General. Thank you for the good information. Will do!. If my mom buys an immediate annuity to help supplement her income and the later is unfortunate enough to need Medicaid would the annuity purchase disqualify her?